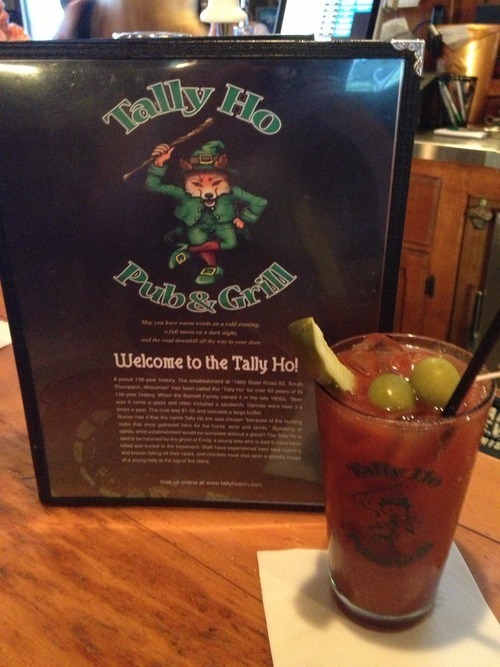 Today after golf in Hartford, I wanted to try a Bloody I hadn’t had before, so I stopped at Tally Ho in Erin. Apparently, they have a Bloody Mary bar every Sunday; however, by the time we arrived (2:30pm), it was over. Alas, I had to settle for a very average Bloody. That’s two weeks in a row now. Based on this disappointing experience, I would have to advise you to head to Hank’s if you ever find yourself in Hartford on a Sunday afternoon!